I am a huge fan of Tekla BIMSight. It’s powerfull, it’s free and very user-friendly. But like with many other project review solutions, I have difficulties to locate myself in the building while spinning around the 3D model. 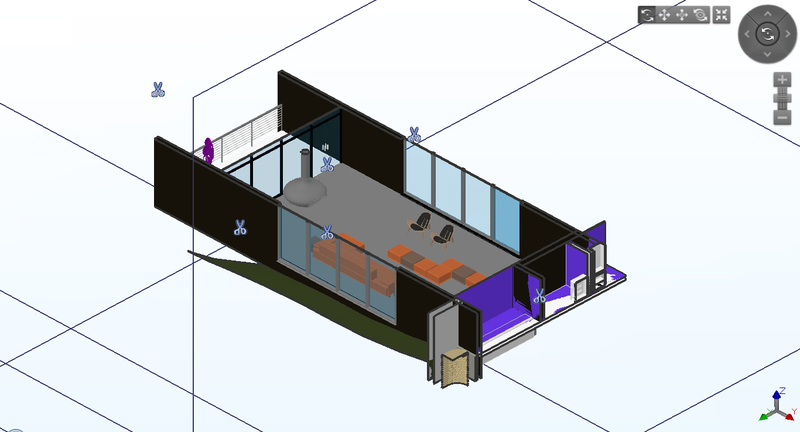 It become even more tedious when you have to find a specific room in the model. There is no convenient way to retrieve its by a name or its number or zoom on it quickly. A solution is to sort the Tekla BIMSight objects browser by Level and by Name to display every room in the model. You can then select a room and start create your clipping planes around it. This is not user-friendly. Furthermore, I haven’t always the luxury of working with IFC. 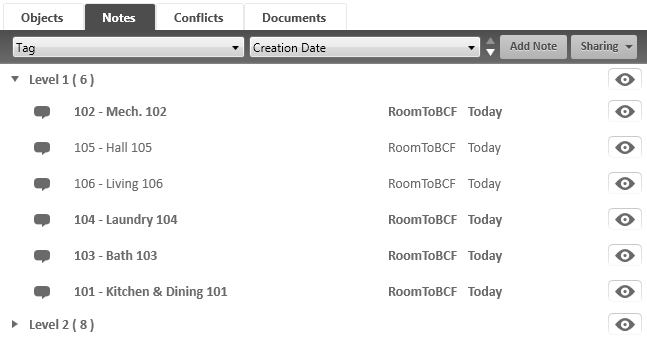 This is why I create a small application for creating a BCF note for every room of a building. 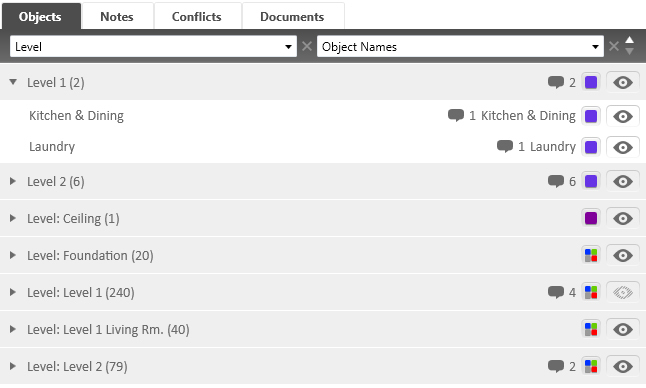 This Revit plug-in save the location, the dimension and the name of all rooms to a BCF file. When opening this file in Tekla BIMSight, we see every room neatly sorted by level in the Notes tab. As you select one of these notes, Tekla BIMSight zoom on the selected room, and create nice clipping planes around it. To do so, I am using XbimBCF, a great library for reading and writing BCF files. I just have to adapt it a bit since Tekla BIMSight does not support yet the second version of the BCF format. This application is now more a proof a concept than an actual solution, but I will try to find the time to clean and share the code. The BCF concept appears more and more appealing as I work with it. This format allow to develop small utilities like this one very quickly, and will be very useful for many tasks involving project review.